*We highly recommended you to complete the Bar Brothers System™ before moving on to the System Accelerator & Freestyle Moves. 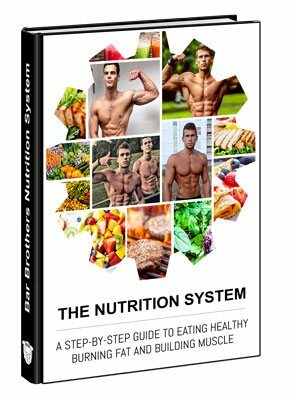 The Bar Brothers System is a 12 Week Calisthenic Training Program that comes complete with a step-by-step guide that can be customized to suit your busy lifestyle. It is also designed to get you in great shape without having to spend a fortune or come up with a large financial commitment. It’s suitable for everyone from beginners to experts. Click the button below to join the worldwide movement. 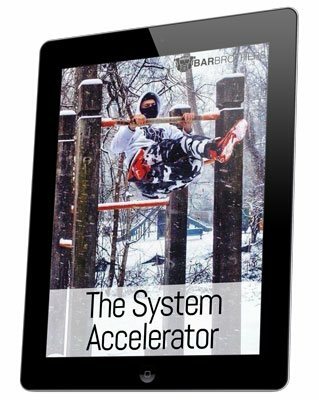 The System Accelerator is an upgrade to The System, it’s suitable for Bar Brothers and Sisters who want to take things to even a higher level once they’ve started to get results. That’s why we’ve created The System Accelerator. It is an additional four week upgrade to The System that makes you much stronger and even faster. The key is weighted calisthenics. It involve using extra weight to accelerate your strength and size. Take your body to next level, by using System Accelerator today! Freestyle moves is an advanced course recommended for those who have already completed The System & System Accelerator. Bar Brothers Freestyle moves consists of five of the most popular freestyle moves (Muscle Up, Front Lever, Back Lever, Handstand Pushup and Pistol Squat). We have created step-by-step tutorial for each of the challenging moves. 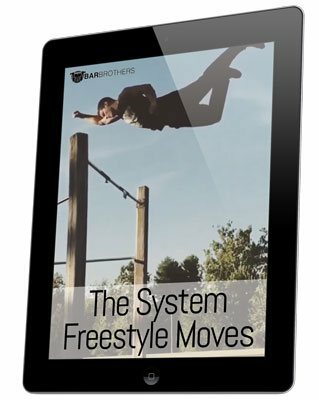 If you are constantly strive to become better, looking for new ways to challenge themselves… Bar Brothers Freestyle Moves is designed for you! Bar Brothers Nutrition is a muscle building, fat burning nutritional system. You will learn what to eat, how to determine the correct portion size, how to optimize your nutrition for health & strength. You will also have access to the exclusive Bar Brothers 7-Day Meal Plans. These meal plans are delicious and also flexible. You can customized the meal plan to your body type and workout goals. 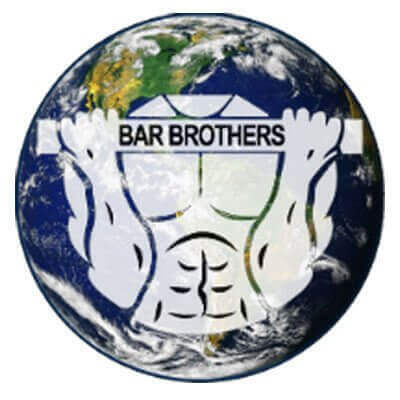 Bar Brothers Family is a closed facebook group created for the most seriously Bar Brother and Sisters who are truly dedicated to the movement. Inside, you’ll get access to exclusive videos, training and coaching never before released to the public. You’ll also have access to Dusan, Lazar and all the top Bar Brothers and Sisters there to answer your question and motivate you during every step of your personal transformation.